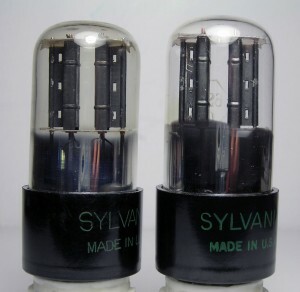 This entry was posted in Vacuum Tubes and tagged 6sn7/ECC32, Sylvania by tubemaze. Bookmark the permalink. BTW, there is also 2-hole version reviewed on this site here and Gray plates version with 3-holes also reviewed herehere.